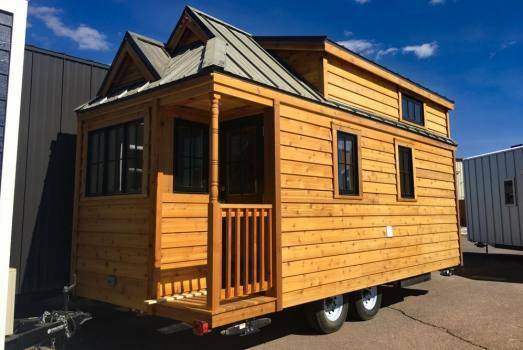 The Cypress Horizon is just one of the tiny houses on wheels available from Tumbleweed Tiny House Company located in Colorado Springs, Colorado. This tiny house on wheels has plenty of space for all your small house living needs. The Cypress Horizon is 26 feet long and has 264 square feet of space, with two bedrooms and one bathroom. The main floor has 209 square feet of space on the main floor and 81 square feet with the lofts. The Cypress Horizon has both style and function and feels much larger than its 264 square foot size. 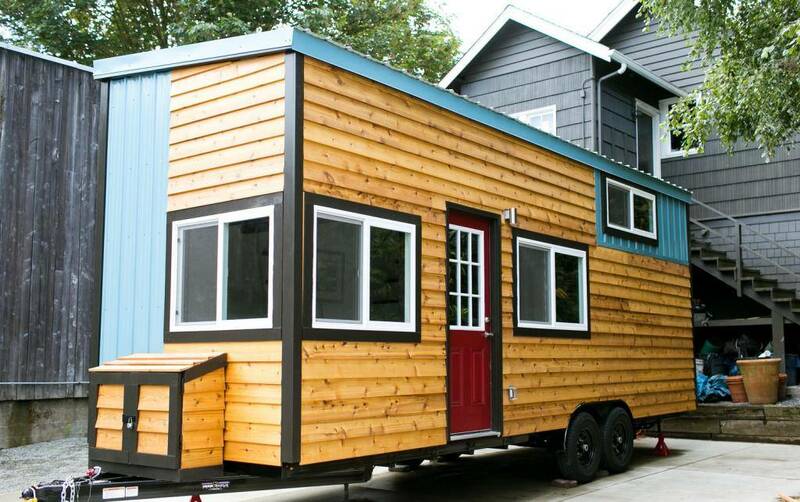 This tiny house on wheels can be pulled by a one-ton truck. On the main floor, you have everything you need for comfortable living. There is a front covered porch that leads you into a good sized great room, And the Cypress has plenty of storage with a mud bench and storage in the great room, a storage closet beside the kitchen, storage underneath the stairs that lead to the loft, overhead shelves in kitchen and bathroom, storage on two upper loft areas, and in the upstairs loft. The bathroom in the Cypress Horizon has a bathtub, and room for a washer and dryer. Whether you are considering a tiny house for full-time living, vacation, or a guest house, the Cypress is a design worth considering. 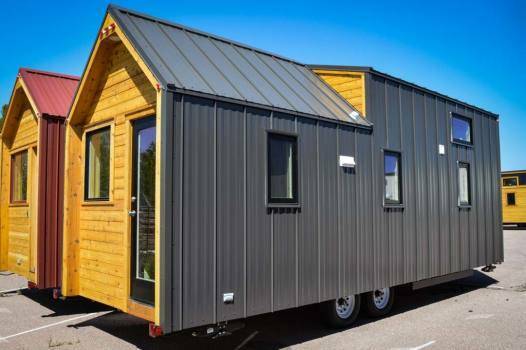 The Cypress Horizon is just one of the tiny house on wheels available from Tumbleweed Tiny House Company, located in Colorado Springs, Colorado. Tumbleweed Tiny House Company has ten Tiny House Hotel locations across the country so you can stay in one of their tiny house designs and see whether or not a tiny house on wheels is for you. 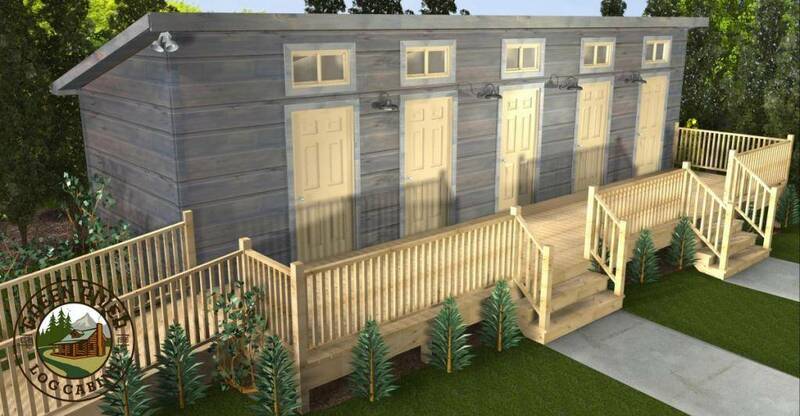 The Cypress Horizon is just one of the tiny house design from the Cypress models with Tumbleweed Tiny House Company. They offer a variety of tiny house designs to choose from four models to include the Cypress, Farallon, Elm, and Roanoke, each with unique features to best suit your budget, lifestyle and needs. For the creative and DIYers Tumbleweed Tiny House Company also offers DIY trailers designed specifically to carry your tiny house design. 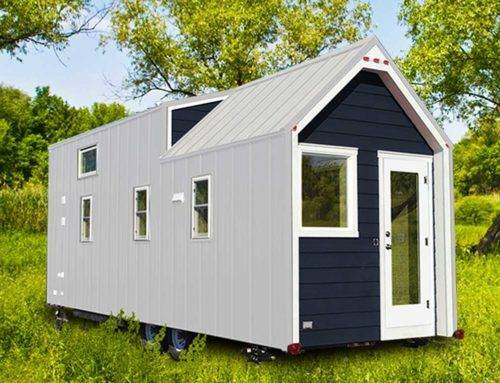 The Farallon Alta is the larger of the two Farallon models from Tumbleweed Tiny House Company. The Farallon Alta is a beautifully crafted tiny house design with 314 square feet of space. This good sized tiny house on wheels has 219 square feet of space on the main floor and 99 square feet for the upper loft. The Farallon Alta sleeps four with a separate queen sized bedroom on the main floor, and a queen sized upstairs loft. The main floor has a great room, kitchen, storage closet, and bathroom with shower. The queen sized bedroom on the main floor is separated from the main space by the bathroom, so you have a bit of privacy. Upstairs there is a queen sized loft with a separate smaller storage loft. The Farallon Alta is available in two different exteriors with standard painted trim included. There are a variety of optional features to include air conditioning, wood exterior, interior packages, washer and dryer, extended warranty packages and more. This tiny house design is perfect for all your small house living needs, whether that be full-time living, vacation, guest house and more. The Farallon tiny house on wheels includes the standard interior package with pine tongue and groove walls, dark walnut floor (vinyl), maple butcher block countertop, white kitchen cabinets with brushed nickel cabinet hardware and white curtains. Optional upgrades and add-ons are available. 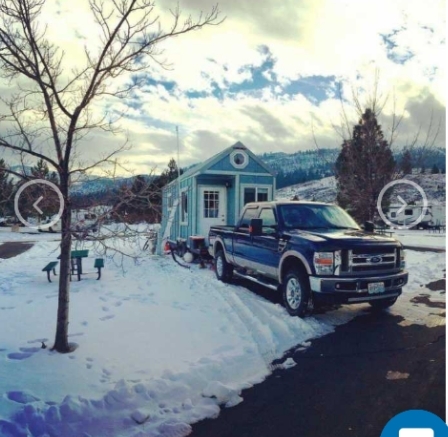 Tumbleweed Tiny House Company offers delivery to all of the lower 48 states. Shipments outside of the continental United States, inquire within. The Farallon Alta is just one of the tiny house on wheels available from Tumbleweed Tiny House Company, located in Colorado Springs, Colorado. Tumbleweed Tiny House Company has ten Tiny House Hotel locations across the country so you can stay in one of their tiny house designs and see whether or not a tiny house on wheels is for you. Tumbleweed Tiny House Company offers a variety of tiny house designs to choose with four tiny house designs to include the Cypress, Farallon, Elm, and Roanoke, each with unique features to best suit your budget, lifestyle and needs. For the creative and DIYers Tumbleweed Tiny House Company offers DIY trailers designed specifically to carry your tiny house design. The Cypress Equator is one of the tiny houses on wheels available from Tumbleweed Tiny House Company. 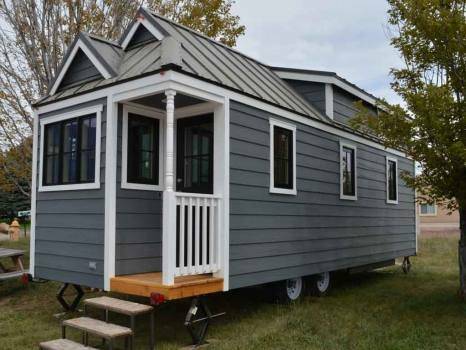 The tiny house on wheels is just one from the Cypress Series of tiny homes with the company. The Cypress Equator is 26 feet long, 8feet by 6inches wide, and 13 feet 4 inches high. Inside you have 274 square feet of space, with 209 square feet on the main floor, and 102 square feet between the two lofts. What makes the Cypress Equator unique from many of the other tiny house designs available is the bedroom on the main floor. On the main floor, you have the front covered porch that leads to the great room, kitchen, bathroom, storage closet and twin sized bedroom. Upstairs there is a queen sized loft with stair access (with storage underneath), and an additional loft for storage. The Cypress Equator is perfect for all of your small house living needs, whether that be for full-time living, vacation retreat, or guest house, it's up to you. The Cypress Equator comes with a standard exterior painted trim package in your choice of colors; interior package with pine tongue and groove walls, dark walnut floor (vinyl), maple butcher block countertop, white kitchen cabinets with brushed nickel cabinet hardware and white curtains; electric cooktop and stainless sink; and a low flow RV toilet. Optional upgrades include air conditioning, washer and dryer, skylights over the great room and loft, and extended warranty options. Tumbleweed Tiny House Company offers delivery in all of the lower 48 states. The Cypress Equator is just one of the tiny houses on wheels available from Tumbleweed Tiny House Company in Colorado Springs, Colorado. Tumbleweed has a variety of tiny house designs, DIY trailers, and custom designs to choose from. Tumbleweed Tiny House RVs are built in a quality-controlled environment where they follow the highest standards of building. They are dedicated to superior craftsmanship, with tiny house designs built to last. Tumbleweed Tiny House Company is a Certified Green RV Manufacturer. The evaluation of Tumbleweed’s quality building system, to include the production process, building material usage, recycling and environmental practices have earned them this distinction. The Farallon 26' Vista is a tiny house on wheels available from The Tumbleweed Tiny House Company in Colorado Springs, Colorado. The Farallon 26' Vista is just one of the tiny house designs from the Farallon Series of tiny house designs with Tumbleweed. The other option is the Farallon 26' Alta with additional loft space. The Farallon Vista has 284 square feet of space with two bedrooms and one bathroom for all of your small house living needs. This tiny house on wheels has a good sized main floor with 219 square feet of space and an upstairs loft with 65 square feet of space. The upstairs loft has room enough for a queen sized bed. On the main floor, the Farallon Vista makes good use of space with a great room, kitchen, bathroom with shower, room for an optional washer and dryer, and a storage closet. The Farallon Vista makes small house living easy with its superior craftsmanship, RVIA certified (Tumbleweed is the first RVIA certified Tiny House RV builder in the world), green certified, and quality building materials. You'll fall in love once you take a look inside this tiny house design with its modern aesthetics, efficient use of space and comfortable style. All of the tiny houses on wheels from Tumbleweed come with a standard set of features, with optional upgrades to choose. Included with each Farallon Vista is a painted trim package in your choice of colors, electric utilities to include water heater and cooking, pine tongue and groove walls, dark walnut floor (vinyl), maple butcher block countertop, white kitchen cabinets, brushed nickel cabinet hardware, white curtains and more. There are several optional upgrades available to include upgraded interior packages, electric and propane, gourmet kitchen and bath, air conditioning, washer and dryer to name a few. The Farallon 26' Vista is perfect for your small house living needs, whether that be for full-time living, vacation living, guest house, backyard office, or artist studio, the choice is yours to decide. The Farallon 26' Vista is just one of the Cypress Series of tiny house designs available from Tumbleweed Tiny House Company located in Colorado Springs, Colorado. They are the largest manufacturer of Tiny House RVs in North America, building tiny houses on wheels since 1999. The Cypress Overlook is a 20-foot tiny house on wheels with two bedrooms, one bathroom and 232 square feet of space. With 159 square feet on the main floor and 73 square feet in the loft, the Cypress Overlook provides plenty of space for comfortable living. On the main floor, you have a great room, kitchen with fridge and electric cooktop, bathroom with standup shower and storage closet. Upstairs there is two lofts, one that fits a queen sized bed accessed by stairs, and a second loft that can be used for sleeping or storage. The entrance that leads into the great room of the tiny house design has a front covered porch where you might also enjoy your morning coffee while looking out at the surrounding view. What you use the Cypress Overlook tiny house on wheels is up to you. You might use this tiny house design as a vacation home, full-time living, guest house, studio and more; the sky is the limit. The Cypress Overlook offers superior craftsmanship inside and out and sure to impress. There are a variety of features to choose from to suit your budget and style. The Cypress Overlook comes with the Tumbleweed Classic interior package to include Pine tongue and groove walls, dark walnut floor (vinyl), maple butcher block countertop with white kitchen cabinets, brushed nickel cabinet hardware and white curtains. You can also upgrade to the Farmhouse or Cottage interior packages at an additional cost if you choose. Some of the add-ons you might consider for your Cypress Overlook include air conditioning, washer and dryer, a roll-up screen door, skylights over the loft and great room, gourmet kitchen (with gas stove, oven and large basin sink), electric with propane and a composting toilet for the bathroom. A one-year manufacturers warranty is included with your Cypress tiny house on wheels, with optional upgrades to 5 year or 9 year extended warranty's. Tumbleweed Tiny Houses offer delivery throughout the United States. The Cypress Overlook is just one of the Cypress Series of tiny house designs available from Tumbleweed Tiny House Company located in Colorado Springs, Colorado. They are the largest manufacturer of Tiny House RVs in North America, building tiny houses on wheels since 1999. Our Tiny Houses have more square footage than the traditional model tiny houses! So, if you have a family or just need a bit more 'move around room' we've got it! Call me for more information and....the best part...we OFFER FINANCING! Turn-key? You betcha! Prices vary according to size, but you can get an AMAZING tiny house for less than $40,000!!! Make me an offer I can't refuse! Need to sell quickly. 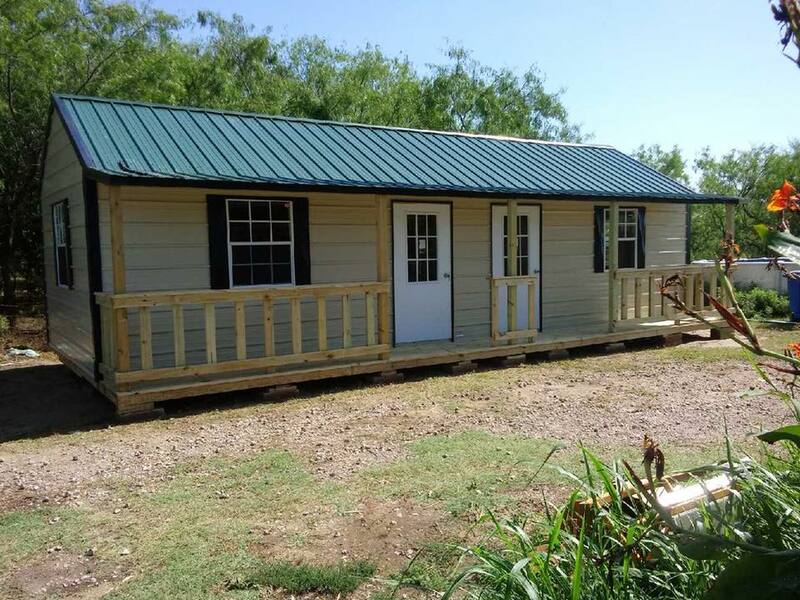 Custom Tiny House for sale built by Tiny IdaHomes in 2014 PRICE REDUCED: $34,000 down from $37,500 Located in Skiatook, Oklahoma; 30 minutes north of Tulsa, OK Here are many of the specifics of the Tiny: 8.5' x 26' with a sleeping loft large enough for a queen size mattress as well as a storage loft LG9000 btu 1 SEER AC/heat mini-split Samsung TV ¾ sized refrigerator/freezer 3 burner propane range/oven Microwave Clothes closet with three rods Pantry area/storage (another clothes rod in here also if needed) Built in couch with LOTS of storage Couch makes into a downstairs bed; twin or king Regular household type porcelain toilet (no black tank) New in 2018 propane hot water tank Washer / Dryer hook up Two 20 gallon propane bottles Large stainless steel sink Propane leak and Carbon Monoxide alarm Smoke alarm Wooden 2" blinds on 3 of the 4 downstairs windows Ceiling fan with light kit Several LED lights installed Built in desk / study / computer area Built-in fold down table Four wooden crates attached to the wall to use as bookshelves or misc. storage Small unit in the kitchen with storage shelves Four motion detection lights on each of corner of the house plus a motion detector porch light Cable TV / Satellite TV ready RV hookups for electric, water, and sewer (no black or gray tanks installed) One portable gray tank included Heavy duty wooden stairs for a safe step up onto the porch Contact for more information or to schedule an appointment to view. The perfect addition for campground rentals or RV parks that need bathroom facilities for their guests. Trophy Amish Cabins not only offers log cabins that can be used for a variety of purposes, but they also provide bathroom options as well. This could also be used on a private residence as a bathroom cabin separate from the main cabin. Putting all of the plumbing into a separate bathroom space will reduce the amount of money spent on heating and cooling for those renting out cabins. This way, the bathroom buildings can remain heated throughout the colder season, and individual cottages don't have to be heated unless they're being used. The company will build to the exact specifications the customer needs. So the customer can draw out their desired layout on paper, and they will build to their specifications. You'll also notice that they include a handcrafted medicine cabinet with a mirror and a custom vanity. There's even a side door to provide access to the water heater. When it comes to installing the plumbing, they'll hire a Master Plumber to install everything. Customers can also save money and have a local plumber do it or do it all themselves if they know how. It's essential that everything meets local codes though. These bathhouses just have toilets and sinks in them, but showers can be added to them as well. Private shower cabins can also be ordered from the company too though. That way it gives people a space to shower that isn't cramped or crowded, plus, it would be very private as well. All of the wood used in the projects completed by Trophy Amish Cabins is usually Aromatic Eastern Red Cedar which is very tolerant of moisture and resistant to mold, mildew, rot and insects. If showers are being installed, a proper ventilation fan would need to be installed and windows would also need be installed too for adequate airflow and to reduce the risk of too much humidity in the small space. From the outside, the bathhouse looks just like all of the other log cabins so it will match well with any separate cottage on the property. The Raffle cabin is a beautiful, high-quality custom solid log cabin built by Trophy Amish Cabins. The company builds everything from smaller cabins like this one to large workshops and homes. A smaller cabin like this one is perfect for those weekend trips for just a single person or a couple or it would also make for a nice backyard shed to store garden tools in or make into a small guest room. Each of the cabins is built out of Eastern White Pine ad aromatic Eastern Red Cedar by talented and skilled Amish craftsmen. They call this model from their collection the Raffle cabin because it can be used in a raffle to raise money for charity, church or any other organization that is doing a fundraiser. People could buy raffle tickets costing only $5 or $10 to enter to win a custom handcrafted authentic log cabin. The cabin would also be turn-key and delivered right to the winner's property. This cabin is a 6 foot by 8-foot Shooter Deluxe, and it can be made to suit different climates and locations. They used Red Cedar rafters and D-Logs in this build which gives it that authentic log cabin look. The D-logs end up creating the rounded profile on the exterior view of the log house while the inside of the logs remains flat which makes for easy finishing on the interior. They also added in the windows and the door as well as a small overhang and a porch out front. A small cabin like this one could even possibly be put onto a heavy duty trailer and used as a tiny cabin on wheels for those who don't want to have their cabin in one place. It could be like a nice little chalet on the go. The roof is done either in regular shingles or metal roofing material so it's up to the customer which style of roof they would like to have on their log cabin. Once the cabin is delivered, it's usually up to the customer to finish the interior of the cabin adding furniture, cabinetry and appliances as they wish. What would you use this sweet cabin for? Dreaming of a tiny log cabin on the water? The Floating Log Cabin from Trophy Amish Cabins could be the perfect fit. This 10 foot by 26-foot log cabin was made just like any other cabin from the company, but this one was placed on a barge so it could be afloat. This is the perfect merging of options for a person who loves the water but also likes the idea of a little log cabin in the woods. This particular log cabin was mounted on a 16 foot by 32-foot custom built flatboat platform barge, and the log cabin was delivered to Falmouth Marine Marina in Falmouth, Massachusetts December 2nd, 2015. Then it was towed to Martha's Vineyard. The frame was built by a custom made our of Marine grade wood and stainless steel hardware with 4 foot by 34-foot pontoons to keep it floating. Then it was towed by a capable boat and brought to its location. While Trophy Amish Cabins will custom design and then build any log cabin, they don't design or build the barges, but they will deliver the finished cabin to a marina to be placed on a barge that is chosen or constructed by the customer. This floating log cabin could be an excellent houseboat for vacationing, or it could also be a home that's permanently docked at a floating house village like some cities on the water have. You can see that this particular cabin was built out of D-logs meaning that the outside of the log is rounded to give the appearance of a traditional log home. The inside of the log will be flat which makes it easier to finish the walls within the log home. They added plenty of beautiful windows to this log house as well as a door with a porch at the corner of the home. Inside, there is all custom cabinetry done in real, solid wood and all that's needed are some marine friendly appliances. There's even a loft with built-in railings for safety which would make it a good place for sleeping or storage. Have a look at this floating log cabin and see if you could imagine yourself sailing away on the open waters in it. With many people starting their own businesses and working from home, the Small Business or Office cabin from Trophy Amish Cabins would be the perfect addition to any property. This beautiful log cabin would make it possible for someone to work from home without having to use space within the home. This makes the workspace a beautiful, private area that can be quiet and peaceful as they work. When the workday is done, just walk right into your main home instead of having to commute for hours. This small log cabin is large enough to fit a custom handcrafted desk, a built-in work table as well as shelving to accommodate merchandise on display. This cabin design could also be built on a commercial lot to be used as a business too, and there could even be enough room for customers to come in to purchase items directly. The log cabins from Trophy Amish Cabins will attract people in because of how welcoming they look, besides, who doesn't love log cabins? Other ideas for using a space like this include using it as a rental cabin or a studio space for art or music. It could also make an excellent food stand or ice cream stand or a place to buy souvenirs. The company will build each of the cabins to suit the individual needs of each customer. So all the customer needs to do is draw out their ideas and they will make it happen. One of the great features of this log cabin is the porch they've built on the front of the cabin that's covered by the awning. This would be a great place to put some benches or chairs for people to sit on while they eat or wait for food if it's a food place. More seating could be provided out in front of the cabin as well depending on the local building codes and regulations. You'll notice the exceptional attention to detail in the craftsmanship of each of the log cabins from Trophy Amish Cabins which sets their designs apart from other log cabins in the industry. Isn't a Huge L Shaped Kitchen In a Delightful Small Cabin a Great Idea? The Xtreme Split Level is a cabin building originally designed as a company display model. This 576 square foot cabin is the largest cabin building Trophy Amish Cabins builds and delivers, turnkey. Once this cabin building is custom built, the gable and roof are disassembled, numbered, then delivered to your building site. Once the cabin building gets to your site, it is reassembled, on your prepared building site by their experienced Mennonite delivery crew in just one day. The cabins from Trophy Amish Cabins are high quality Amish crafted log cabins, that can be used for everything from a weekend getaway cabin, hunting/fishing cabin, workshop, artist studio, gallery and so much more. The quality cabin buildings built from Eastern White Pine and aromatic Eastern Red Cedar tongue and groove lumber, are handbuilt by their team of Amish craftsmen. 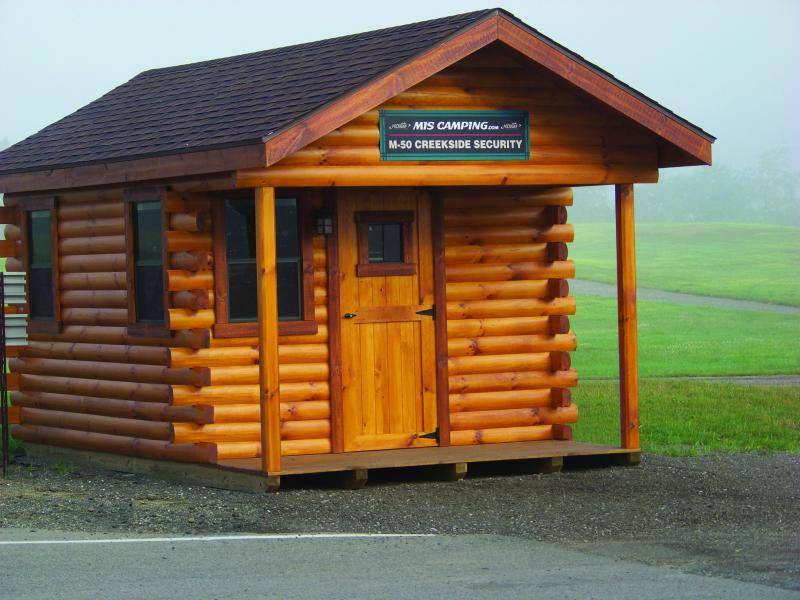 Trophy Amish Cabins custom builds standard model cabin buildings, and specialize in custom orders. They can rough in the electrical, ceiling fan brackets, handicap accessible doors, wall partitions, matching table and stools, kitchen cabinets, counters, bed frames, and more. They work with you to design and build the cabin building that best suits your lifestyle, budget and needs. Total customization is their goal; your cabin building will be designed with your building site in mind, to help maximize your views and personal objectives. It is important to note that Trophy Amish Cabins do not prepare the building site, which is to be completed by the client. For the Xtreme Split Level, it is a good idea to have the site prepared with a crawl space underneath for future plumbing access. The Xtreme Split Level is just one of the cabin buildings available from Trophy Amish Cabins. Trophy Amish Cabins is a family run business located in Southeast, Michigan. They are a unique custom shop that builds some of the best Amish log cabins in America and offers nationwide, turnkey delivery at affordable prices. The 12x32 foot Xtreme Hunter is a 648 square foot cabin building for all your small house living needs. The Xtreme Hunter starts out as a basic completed shell; then you decide what style and size of cabin building best suit your budget and needs. From there you draw a simple pencil sketch of the wood cabin floor plan you would like, complete with the window, door, kitchen cabinetry and electric outlet placement. Trophy Amish Cabins start with your cabin building floorplan, then they review your delivery site features, and discuss your wants, needs and planned long-term use for the cabin building. 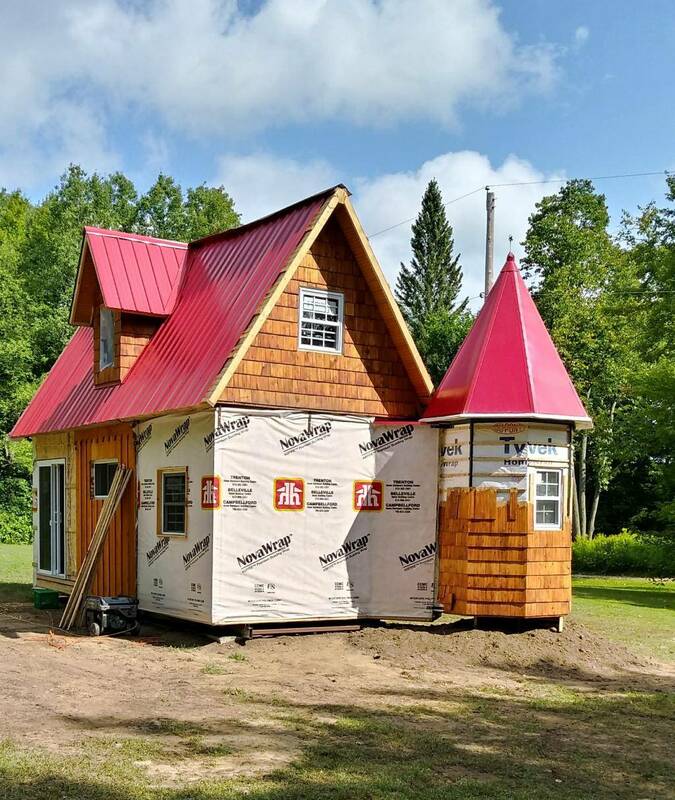 Once that is done, Trophy Amish Cabins will quote you a price dependent on your needs, and they will build, deliver and reassemble the cabin building on your site. You may design and order whatever cabin building you want and are limited only by your imagination. Trophy Amish Cabins can help make your log cabin dreams come true. The Xtreme Hunter is the largest sized cabin building that is offered delivered turnkey and reassembled on site, with Trophy Amish Cabins. The 12 by 32 foot Xtreme Hunter has 648 square feet in total, with 384 square feet on the main floor, one 144 square foot loft and one 120 square foot loft. There is a six foot wide open area between the two lofts. The Xtreme Hunter comes with the completed shell, loft railings, ladder, eight windows, an Amish wood door, Aromatic Eastern red cedar trimmed windows and door, the basic rough wiring and painted tin roof. Some of the available options you might consider for the Xtreme Hunter cabin building include an all season screened in porch, custom built-in wrap around red cedar porch benches and outlets for fans, additional entry door and Amish wood screen door, wrap around red cedar/maple butcher block kitchenette countertop, queen-sized built-in bed, and so much more. The Xtreme Hunter is just one of the cabin buildings available from Trophy Amish Cabins. These Amish cabin builders are located in Southeast, Michigan and offer nationwide turnkey delivery to your prepared building site. The Xtreme Cottage is a 12x28 cottage with 600 square feet of space. The cabin building has 336 square feet of space on the main floor, and a 264 square foot loft. The 19-row cabin building is custom built in the Amish shop, disassembled, delivered and reassembled on your prepared building site in just one day. The Xtreme Cottage is available up to 32 feet in length with two 12x13 lofts for a total of 700 square feet maximum size. For the 700 square foot model, there is 384 square feet on the main floor and 316 square feet in the lofts. All of the cabin buildings start off as a shell; they are then custom designed and built according to your specifications. You get to choose the door and window placement, interior walls, electrical outlets, roofing material and exterior stain color. There is a long list of options that are available to choose from. Some of the options you might choose for the Xtreme Cottage include a 4x9 foot bathroom wall, door, vanity, wrap around aromatic Eastern red cedar and maple butcher block countertop kitchenette, coffee table and matching maple table, nite stand and butcher block stools and built-in beds to name a few. The Xtreme cabin buildings are available in all four styles of cabins to include the Lodge, Hunter, Cottage and the Escape. The Xtreme cabin building is a 19row cabin building, with three extra rows of D-logs resulting in a 12/12 pitched roof and one or two lofts. 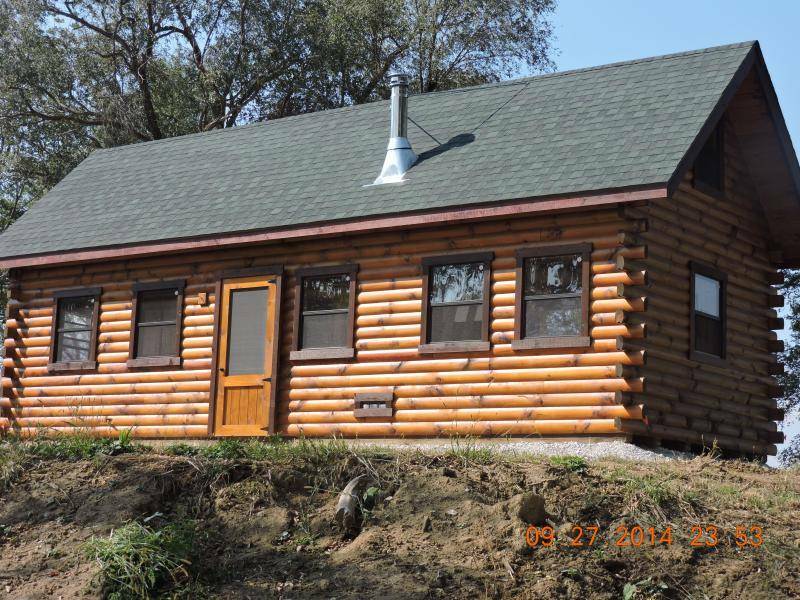 The Xtreme Cottage is just one of the cabin buildings available from Trophy Amish Cabins. 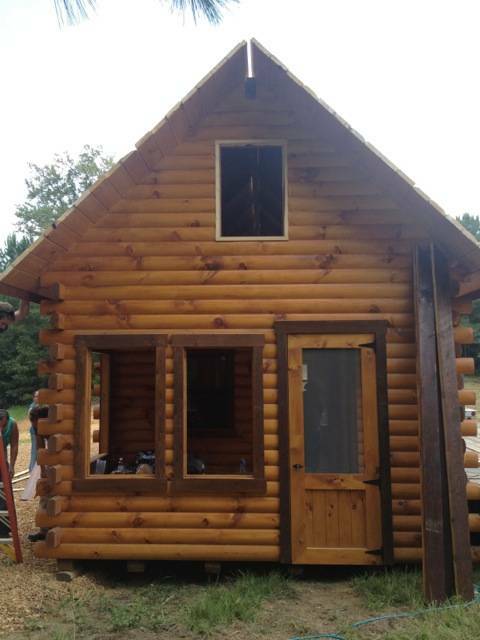 The wood cabin builders are located in Southeast, Michigan and offer nationwide turnkey delivery. Your building site must be prepared first before cabin building set up. Trophy Amish Cabins have a wide variety of cabin buildings available to choose, with different sizes to suit your budget, lifestyle and needs. The 12x32 Xtreme Lodge is a wood cabin you will love. The solid log home construction built by Amish craftsmen is available with plenty of options. The 12x32 Xtreme Lodge in the photos has 648 square feet of space, with 384 square feet on the main, one 12x12 square foot loft over the kitchen area and one 12x10 loft over the sleeping area. This Xtreme Lodge cabin has plenty of options to include teak stain and clear coat, Danish oiled interior, cedar rafters, tie beam and window sills, two 2 inch super duty entry doors, with deadbolts, screen doors and extra shelving. Other options chosen with this Xtreme Lodge cabin include television wall mounted shelf and outlet, maple stools with cedar legs, a 20x30 inch maple coffee table, and extra windows to name a few. You will want to take a closer look and see some of the features that were included in this Xtreme Lodge cabin so you can plan a cabin building design of your own. This Xtreme Lodge has built in towel storage shelving in the bathroom, a queen bed frame built in, nite stand and aromatic eastern red cedar faced roll-out storage drawers. Other features in this cabin building include aromatic eastern red cedar faced built in cedar/maple flip seat storage chest and boot bench. Every Trophy Amish Cabin layout starts as a basic cabin shell, and you may draw a rough sketch of your desired cabin layout and forward to the cabin designer. The designers will consider your long-term cabin use, building site features and design your cabin building to suit your needs and specifically your building site and budget.﻿ Trophy Amish Cabins work with you and make any suitable recommendations and suggestions, so you get the cabin building of your dreams. You may make any necessary changes until you are 100 percent pleased with the resulting cabin building layout, then they will give you a quote for the custom build, delivery and reassemble on site. 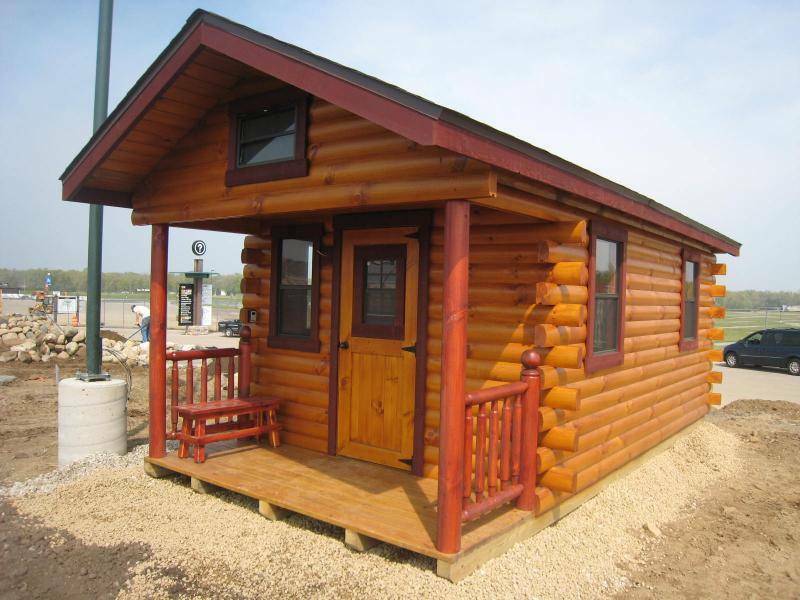 The 12x32 Xtreme Lodge is just one of the cabin buildings available from Trophy Amish Cabins. The quality builders are located in Southeast, Michigan and offer nationwide, turnkey delivery to your building site. 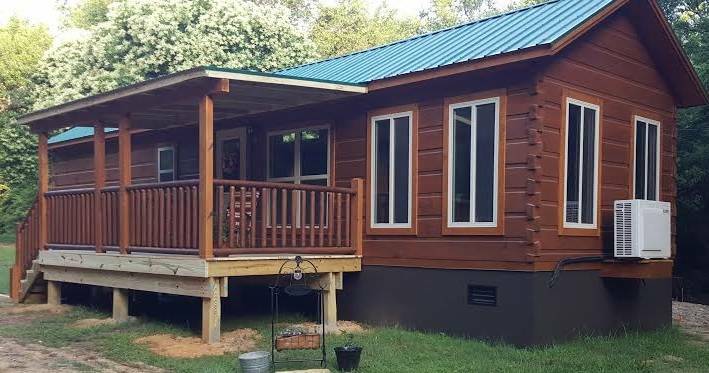 The 12x32 Xtreme Lodge is a beautifully crafted 587 square foot cabin building with 384 square feet on the main floor, a 168 square foot loft over the kitchen and bathroom area, and a 35 square foot loft over the boot bench area. All of the cabin buildings start out as a basic completed shell. From there you can make a simple pencil sketch of the cabin building floor plan you prefer to include window, door and electric outlet placement. After that, the designers at Trophy Amish Cabins will give you a quote to build, deliver and reassemble your cabin building on your building site in just one day. The Xtreme Lodge is a 19row cabin building with a 12/12 pitch roof, loft railings, ladders, eight windows, Amish wooden door, aromatic Eastern red cedar trimmed windows and door, Cedar Amish door latch, basic rough wiring and painted tin roof. Beyond the features included in the Xtreme Lodge cabin building, there are plenty of options to choose to make your cabin complete. In this particular cabin, you'll want to take a look at some of the selected options to include a built-in queen over king bunk bed; cedar faced roll-out drawers and nite stand. The cabin building also has a 5x7 foot wrap around cedar/maple butcher block boot bench area, coat rack, and wrap around Maple butcher block countertops. You'll also want to take a look at the matching half moon outhouse. The Xtreme Lodge can be used for a variety of things to include a weekend getaway cabin, hunting/fishing cabin building, workshop, artist studio, gallery and more. The cabin building built from eastern white pine and aromatic Eastern red cedar tongue and groove lumber are hand built by the highly skilled team of Amish Craftsmen from Trophy Amish Cabins. 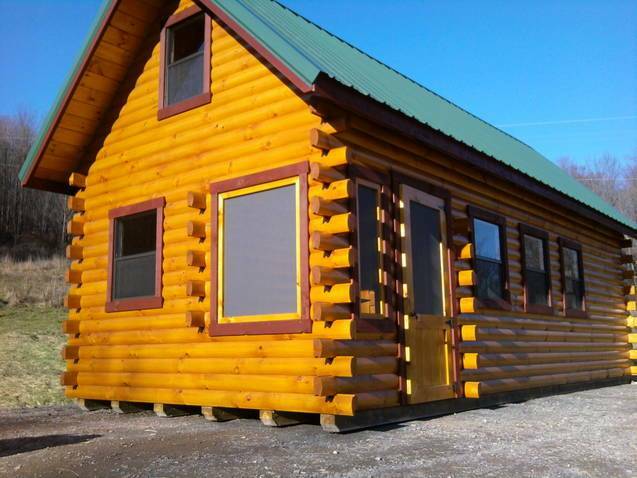 The 12x32 Xtreme Lodge is just one of the cabin buildings available from Trophy Amish Cabins. The log cabin builders are located in Southeast, Michigan and offer nationwide, turnkey delivery to your building site. Trophy Amish Cabins are some of the best Amish cabin buildings you will find in North America. They have a wide variety of cabin buildings available to suit most any budget, lifestyle and need. This is a one of a kind 34' triple slide tiny home that was only used a week per year for the first four years and has been in inside storage till 2016. Complete 2018 remodel including new floors, new counter tops, new dual recliners, new sauna, new hot tub, new kitchen sink and faucet, new back splash, new dishwasher, and a new washer and dryer! Fully waxed and ready to go, it is in amazing condition looking brand new - the outside shines along with all the rubber and slide gaskets are pliable and like new condition - I've seen 2016's that don't look this new! Over the road the RV has seen only 2400 miles. Perfect for full time living either stationary or on the go. This SPA-V is truly unique. You will be the only person on the PLANET to own an RV tiny home with a full 3 person sauna inside. Infrared sauna health benefits are well know and widely researched : better sleep, reduced anxiety, & lower blood pressure. Full built in and ready with just a push of a button. Beautiful updates throughout with a sleek modern flair. Check out the look of this luxury tiny home RV with a feeling of the SPA on the road. Other features : aluminum frame : day / night shades : new Maxx Air roof vents : large rear bay window : outside shower : large pass through storage : under bed storage : ducted central air and heat : Enfinity air filtration : water filtration : blue ray DVD player : Bose surround sound : brand new gas / electric 10 gallon water heater : large like new beautiful blue awning : 9 x 18 matching patio mat : real oak cabinets : kitchen pantry : tons of storage and so much more. SPA-V FACTS: Remodel Completion Date : 08/18 Total Mileage : 2400 Dry Weight : 11065 Vehicle Needed for Transport : 3/4 or 1 ton Truck Overall Condition : New or Near New Available Storage Capacity : High Cabinetry : Oak HDTVs : 32" and 80" Sound System : Bose Rear Camera : Yes Slide Outs : 3 Toyhauler : Yes Sauna : 3 Person Upgrades Available: Rear Motorcycle Deck with Camera System and Power Loading +$3000 Hot Tub +$300 Generator +$400 Interior and Exterior Accessories +$200 Want more? How about an 80" HDTV Mini Theater with Bose Surround Sound? Yep, that's included too. For regular TV viewing there is also a 32" Samsung Smart TV that swivels for kitchen, living room, or sauna viewing. 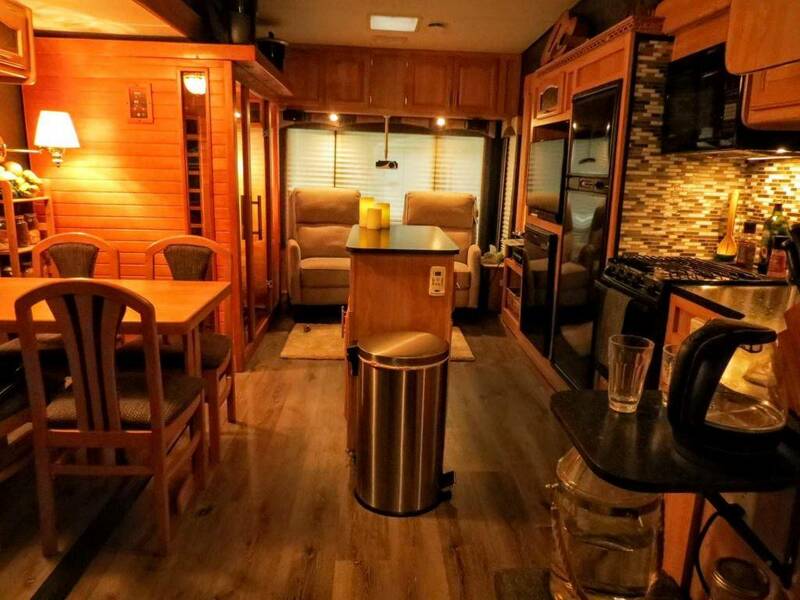 This is a truly beautiful and one of a kind RV you will NOT find anywhere else. All remodeling and installed upgrades are brand new. Some carry manufactures warranty. Log cabins are very desirable, which is also why they tend to be quite expensive. The best way to get a log cabin while staying within a budget is to buy a smaller cabin. You can have all of the luxuries of a larger cabin in a smaller footprint and still make it the cabin of your dreams. A great example is this smaller 12 foot by 32 foot Xtreme Lodge Deluxe cabin which is 546 square feet. This would be considered a tiny house by most standards, but the way its floor plan is laid out makes all the difference. From the outside, this log cabin looks just like any simple, rustic log cabin, but it's always what's inside that counts. In this case, the cabin also includes some loft space which gives the cabin more space for storage or sleeping. Any extra space like this is essential, and lofts are a great way to incorporate more space without adding more square footage which can increase the price of the build. Walking in through the front door, the first area in the home is the living room area which also shares space with the dining area and the kitchen. Since the kitchen has a mini bar counter, this connects it with the living room while providing some space to sit and eat or do some work. All of the cabinetry and the countertops are handcrafted, and they are gorgeously done. They used their signature style of alternating the colours of wood from light to dark for a striped pattern that's very unique to their company's style. Then, they can also make bar stools and other furniture to match which is incredible. Next to the kitchen is the bathroom which features the cabinetry, but not the fixtures like the shower, sink and toilet. Then, above the bathroom is a small loft area which would be great for storage or it could make a cute hangout area for a kid. You can see the delivery process of this cabin too, and how they bring it in on a trailer and then place it on the foundation. This is one of the larger models from the company, but they have a bunch of different sizes to suit any needs or preferences. Building a cabin to use as a vacation cabin can be very simple when you have a model from a company like Trophy Amish Cabins build it for you. This 12 foot by 23 foot Xtreme Lodge cabin from their collection is the largest log cabin they have in their collection that they can deliver and reassemble on the building site. They can also do turn-key options where the cabin is ready to move into right away, all you have to bring are your personal items. All of their cabins will begin as a basic shell that is finished on the inside, but additional items can be added on. Customers can also choose their own floor plan by sketching up their vision and having the designers create a special design just for them. Even by choosing a model, customers can then alter the plans as needed to get the layout they need. This log cabin features a 12 by 12 pitched roof with two 12 foot by 10-foot lofts inside and a 6 foot opening between the lofts. All of the lofts in their cabins also feature safety railings and ladders that are handcrafted by the talented Amish craftsmen. They also handcraft the wood doors as well. The type of wood most typically used in their log cabins is Eastern red cedar which has a beautiful aroma and appearance. The cabins are also insulated very well and can withstand any type of weather. They also have insulated windows too which makes a big difference when it comes to retaining heat. For a heat source, they installed a double wall insulated stainless steel wood stove which will keep this cabin nice and toasty in the winter. The company also offers some other great built-in options including bunk beds and build in bed frames with storage. They will also build the furniture for the small cabins as well so that everything matches perfectly. 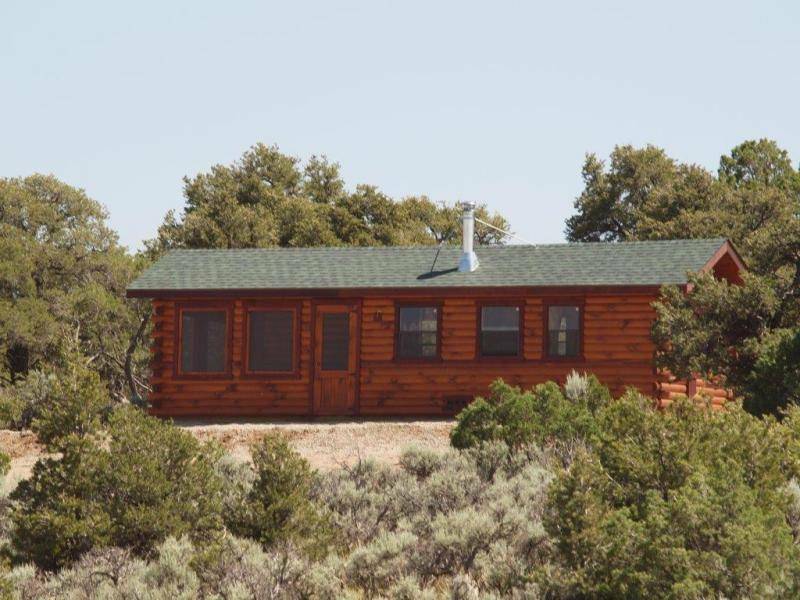 This cabin has a total of 700 square feet, but the company features smaller log cabins as well which can be found on their website. For a fast, affordable yet very high-quality log cabin, Trophy Amish Cabins is a great source. Wouldn't it be wonderful to have your dream cabin built and delivered right to your property? Trophy Amish Cabins builds all of their high-quality log cabins in their factory and then delivers them to the property and finishes them up right on the site. That means that usually, a cabin will be ready to move into within days of them delivering it. This 12 foot by 26 foot Xtreme Lodge log cabin is just one of their many log cabin designs. The Xtreme Lodge cabins are some of their larger designs, and this one is 504 square feet in total with 312 square feet on the main floor as well as two lofts that are 96 square feet each. The two 12 foot by 8-foot lofts are perfect for storage or extra sleeping space and could be the ideal place for the kids to have some play space away from the main floor. They all come with safety railings as well so they'll be safe once they're up there. All of the cabins in this series will start out as a basic finished shell that comes with 8 windows, a handcrafted wood door, and the basic roughed in electrical. The skilled craftsmen assemble the entire cabin in their warehouse, and then they deliver it to the site. Once it's delivered, they place it on a foundation and then reassemble the gables and install the ridge beam, rafters and a vapour barrier with a metal roof. You can see that the cabin is a very traditional log cabin, quite rustic and simple, but very durable and high quality. There are several different options to choose from to create the perfect cabin, including interior doors, cabinets, countertops and even beds and other furniture. So each cabin is very different and has its own unique style and design. They do a very unique looking countertop in the kitchen and bathroom that includes Red Cedar and Maple wood in a butcher block style alternating colours. They can also have furniture made in this style to match. Once the cabin is complete, all the customer has left to do is decorate it however they like and to enjoy it once it's all ready. The 12 foot by 32 foot Xtreme Lodge Cedar Deluxe cabin is a beautiful log cabin from Trophy Amish Cabins with a total of 612 square feet. The main floor includes 384 square feet, and there are two lofts one that is 108 square feet and the other loft area is 120 square feet. On the exterior, they use D-shaped interlocking logs with a teak coloured exterior stain and a green metal roof, which is a very popular colour scheme for a modern log cabin. Each of these cabins is built by the company's expert builders in their own warehouse, and then their expert delivery team hauls the completed cabin to the customer's property. The customer is usually responsible for having the foundation in place so the cabin can be placed on it and then the roof is put on after. The company offers different additional items that the customers can opt to have included in their log cabin design. This client opted for some lovely French entry doors which make the entrance feel grander and open the cabin up to the outside world more. You can see why the clients chose to do this with the amazing views they have surrounding their cabin. They also built a gorgeous deck on their log cabin to make the most of the outdoors. Trophy Amish Cabins will also create custom wood furniture for their customer's cabins, like the custom fly fishing pole hutch they made for this log cabin that sits next to the bathroom. They also do all of the custom cabinet and countertop work making them out of maple and cedarwood usually. This log cabin even features a custom handcrafted wine rack and an angled shelf for a microwave too. The custom chandelier is also made in the US and fits in with the rustic cabin decor. Another great feature that was added to this log cabin is the bunk with storage included. You can see part of the delivery and placement process for this log cabin to get an idea of what that entails. As you can see, once everything is set up, the cabin looks incredible. The company also has smaller options and floor plans as well for those who don't need as much space. The 12 foot by 23-foot Escape cabin from Trophy Amish Cabins is a great mid-sized cabin design. The design makes for a great family cabin out in the country to enjoy some time to connect with family and nature. The exterior of the log cabin is made using interlocking D-shaped logs that are rounded on one side but flat on the other which makes for nice flat walls on the interior. They went with a warm amber colour for the stain, and then a deep brown for the trim making for a very traditional cabin style. The great feature on this cabin is the nice front porch area that is somewhat enclosed with large openings. There are also screens that can be put in these openings to screen in the porch and keep the bugs and pests out. There are a number of windows in this design which is great for the inside of the cabin. Allowing more light into a wood cabin will only help to make it feel brighter and more open. Inside, there are a number of features including bunk beds, a full bathroom, a kitchenette and a living room area. The cabin is built to a shell stage, and then it's up to the customer what they would like to add on. They can add custom handcrafted furniture and cabinets in the kitchen and bathroom, as well as the loft railings and ladders for extra. The company roughs in all of the electrical so the rest can be done by a professional electrician. The plumbing is not set up in these cabins yet though so that's also something that should be completed by a professional. For the majority of their cabins, a simple concrete foundation works just fine, but other customers have built their log cabins on a basement or crawl space foundations to add some extra space without having to expand the floor plan. Customers can alter the floor plans as needed, but they can also present their own log cabin design ideas to the company, and they will do their absolute best to come up with a floor plan and design that meets their needs and preferences. This is one of the many genuine solid log cabins from Trophy Amish Cabins. The company builds high-quality cabins and delivers them nationwide. They create turn-key cabins as well which means that customers only have to move in their personal belongings, everything else is taken care of. Once finished, these beautiful log cabins can be used as a weekend retreat, a summer cabin, a hunting camp, a workshop or a studio space. The 10 foot by 32-foot Escape Deluxe is one of the cabin models they have in their collection, and it's a simple cabin built using Eastern White Pine and aromatic Eastern Red Cedar. All of the trees that are used to build these log cabins are grown in the US, and the cabins are also built in the US by professional Amish craftsmen who have been building traditional log cabins for decades. All of the cabins start as a completed shell, which means the exterior of the building is all finished, and then the customers choose the options that suit their needs and their budget. They can add in items like custom cabinets for the kitchen and bathroom as well as custom storage units and furniture. One of the great features of this log cabin is the enclosed porch area with screens in the openings, perfect for those warm summer nights. Not only do these log cabins look amazing, but they are also very durable and will stand up to any type of weather. The company will also insulate the cabins to suit the location that the cabin will be placed in, and they also add in wood-burning fireplaces as well to keep the inside nice and warm. Other things that the customer can choose for their own log cabin is the colour of the exterior stain, the type of roofing and the colour or the roofing. 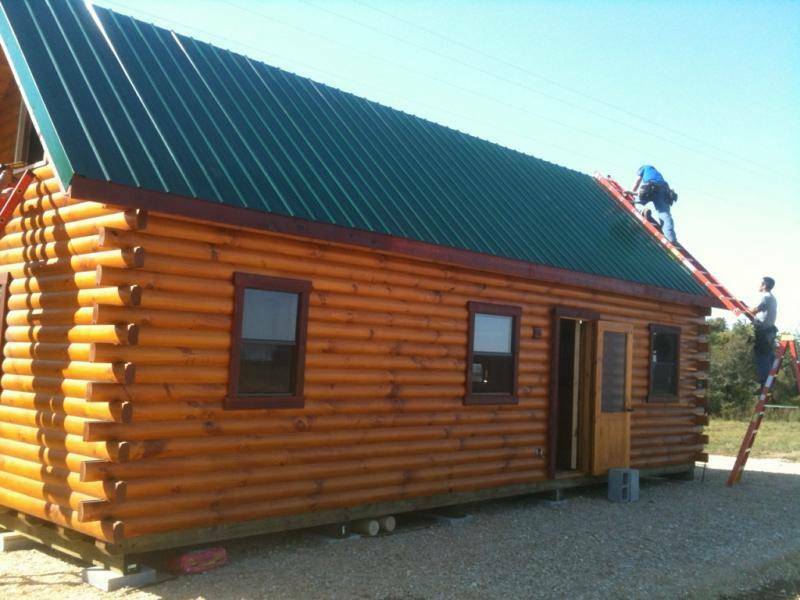 This log cabin was done in a darker stain with a greenish asphalt shingle, but there is also the option of getting a metal roof put on the home as well. You can also see how the log cabin is placed on the foundation once it's delivered and how easy it is to set in place. Then, the cabin is ready to be used and enjoyed. There's nothing quite like a real log cabin made from solid wooden logs. This 12 foot by 32 foot Lodge Cedar Deluxe cabin from Trophy Amish Log cabins is a great example of a natural log cabin. Crafted by the talented Amish craftsmen, this log cabin looks beautiful on the outside, and it's also gorgeous on the inside as well. Inside, the cabin features 530 square feet of space in total with 384 square feet on the main floor and then a 120 square foot loft above the kitchen and a 36 square foot loft over the walk-in closet. This is a smaller log cabin, but it could work for so many purposes including being a wonderful recreational cabin for summers and weekend getaways. The one stand-out feature is the different shades of wood on the exterior of the cabin. The colour difference is because the lower seven rows of the cabin are built with Eastern Red Cedar logs, and the others are natural cedar. All of the logs are D-logs which means they are shaped in the form of a D as you can see in their side profile. This creates a rounded outer wall and a flat inner wall. For the exterior, they used Sikkens Natural Oak exterior stain and sealer and finished with roof using architectural designer shingles. The unit, like all other log cabins from Trophy Amish Cabins, was completed to the shell stage with 6 windows & basic rough electric package. The electrical package includes 3 outlets and a #14-3 conductor wire for a ceiling fan. Each of the cabins can be designed and finished further, they can even be completed to a turn-key state. The Lodge Cedar Deluxe is finished up until this point and as you can see they created beautiful cabinets, countertops and built-in cabinet units throughout the cabin. They also used the various types of wood in different colours to create patterns in the countertops and the furniture for a unique look. Also included in this model is a composting toilet, a shower and a sink on top of the vanity in the bathroom. So all the customer would need to do is move in their own furniture and decorate it as they liked. It's pretty impressive that this beautiful log cabin was built in just three to six weeks. Green River Log Cabins promises only a three to six wait for any of their small log cabins to be built which means that customers get to enjoy their log cabins sooner. The company creates custom-designed log cabins like the Bath House that can work for various purposes. They have different models in a variety of sizes, prices and styles. Many people use these as a backyard cabin to generate extra income by renting it out. They are also popularly used as vacation cabins as well. The Bath House, as you can guess from the name is a cabin that is used as a bathroom facility. It looks quite stylish from the outside though and could be mistaken for a nice small cabin. Then, at the front you'll see all of the doors lining the side of the cabin with a porch the length of the cabin providing shelter as people enter into the bathrooms. Each of the 5 doors has a bathroom inside of it that includes a shower, a toilet and a sink. They are decent sized spaces with high ceilings and even a ceiling fan for air circulation. A bathhouse like this one would be perfect for campgrounds or RV sites. Instead of having a bathroom with a main area, there are 5 separate spaces for people to have their privacy while they shower up and use the bathroom. Four of the bathrooms are the same size white the last bathroom is larger which would be perfect for accommodating people with disabilities. It's also great that each of the bathrooms also includes fans for proper ventilation and windows as well. The windows could also be frosted which would provide some more privacy. For off-grid properties, they may even be able to include composting toilets as well which would also be very environmentally friendly. The exterior is also available in different colours as well as the doors and the roofing. So customers can pick whatever colours go best with the other buildings on their property. Besides the bathhouse, the company also has a great selection of log cabins that would be perfect to add to campgrounds or for private use. The Crossing Creek Riverview is a small log cabin with so much to offer. The log cabin is one of the many beautiful designs from Green River Log Cabins. This is one of the models in their Campground and RV Series of cabins, and it would be a great addition to any campground or RV park, or it could be a lovely cabin for personal use as well. The exterior shot of the cabin shown in the rendering shows how great this cabin looks from the outside. The extended cabin includes a slender front profile with a great covered deck and entrance. Inside, the cabin is unbelievably open and spacious, you wouldn't even know that this cabin is quite small. The high ceilings definitely help with that, as well as the many windows and light coloured wood. The entire interior is covered with wood from the tongue and groove on the ceilings, to the rafters, the walls and the floors. This looks gorgeous and really gives the cabin that warm, cozy feel. The cabinets are also all wood, but the countertops are laminate or granite. In the kitchen, there are also regular sized appliances and lots of storage for a very functional kitchen. Beyond the kitchen is a bedroom and above that is the loft which is accessed by a ladder. The loft space could be used for storage or as an extra sleeping space. The handcrafted ladder was also created with some storage behind it which is a brilliant use of the space behind the ladder. This is an excellent idea for small spaces where every square inch of space is precious, and storage is essential. The loft includes two twin beds and windows to brighten up the area, and the main floor bedroom includes a queen bed as well as a set of bunk beds built into the wall in the hall section leading to the bedroom. So there is quite a bit of sleeping space in this cabin which would be great for a family. At the front of the cabin is the living room area which would be the perfect place to enjoy time together as a family playing games and enjoying each other's company. The Top-Line Series of log cabin from Green River Log Cabins now has a two bedroom option. The popular plan now has a second bedroom, but it still has all of the other things people love about the regular model. They just took the regular Top-Line model and added a second bedroom. So now there is enough space for the kids to have a bedroom of their own instead of just a loft space. This is the first of the company's new modular small log cabin designs for those who want a little more space than their previous models had. The beautiful thing about these log cabins is that they can be used as part-time and full-time residences. They will pass all of the state, federal and local building codes in the states that they build cabins for. The other great thing about these cabins is that they are simple to just plug into power, water and sewer, then they are ready to be used and enjoyed. Another great feature is that they will include all of the appliances. The kitchens will have high-quality custom cabinets and stainless steel stove, microwave and fridge. The flooring is all luxury vinyl plank flooring, and the walls are done in solid tongue and groove siding. They leave the wood bare, but it can be stained or painted to the customer's preference. The balance of rustic cabin finishes and modern new touches really makes this cabin feel like it's stylish and new. The customers can also control the price of their cabin by choosing different finishes and appliances as well, so it works well for those on a budget. One of the best things about this design is the high ceilings in the living room which really draw the eye up creating an expansive feel. They also added windows at the ceiling height which brings light in up above creating illumination where there usually isn't natural light. A ceiling fan is also added for air circulation, and this is also the case in both of the bedrooms as well. All the customer needs to do is move in their own personal items and decorate the space to make it their own. When you live in a small space, it's essential to have some good outdoor space. That's why these customers built a deck on their tiny house built by Big Freedom Tiny Homes. The customers not only built a deck on the back of their home but they also built a small porch on the front of the home, plus, it's covered too. Usually, a deck is up to the customers to build onto their tiny house after the home is parked, but sometimes companies will build the decks for the customers. A great way to have a portable deck that goes with the house wherever it goes is to have one built into the tiny house design. These can be porches built onto the trailer, or flip up decks that fold up and stay attached to the sides of the tiny house while it's in motion. Having a deck will expand the livable space in the tiny house providing another area to relax and hang out. Putting some outdoor furniture will only help to make the space feel more like an outdoor living room or dining area. Inside this tiny house on wheels, you'll also see some other ways that the builders maximized the space within the house. They made a lot of room for the living room area by adding in a sectional sofa that converts into a bed. There is also storage within the couch as well which makes it even more desirable for a tiny house. Even with all of the space saving features, the kitchen in this tiny house is excellent. They gave the customers a great apartment sized gas stove and oven as well as a larger fridge too. All things that are very important to making a home run smoothly. In the home, there are also two lofts which creates space for sleeping and storage. One of the lofts is accessed by a ladder and the other by a staircase. The staircase even has some storage in it as well which is wonderful, and once in the loft, there is some closet space as well. 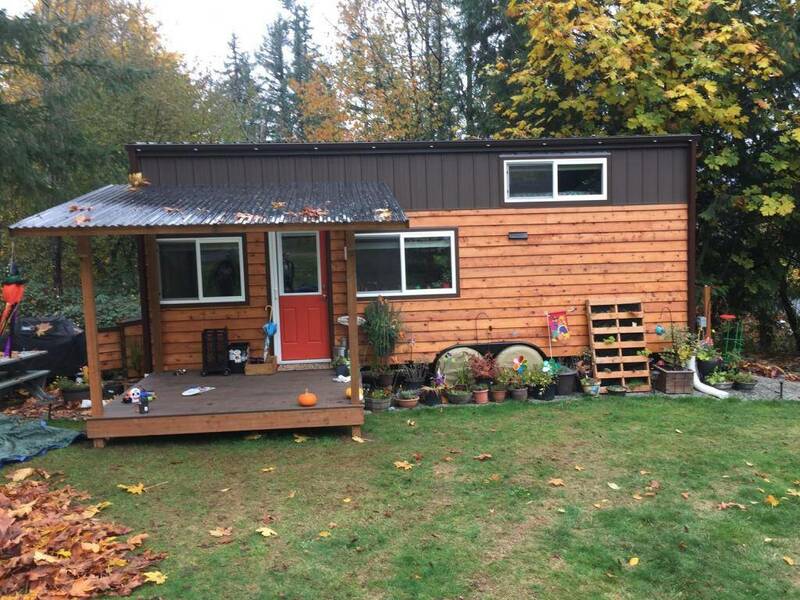 This is a tiny house that has it all and then some, and there's always room to grow by adding a deck on. This beautiful tiny house from Big Freedom Tiny Homes is an excellent example of how you can fit a lot into a little space. The home looks stylish and modern on the outside with it's shed style roof and the wooden siding with black trim. The door is painted a deep red for a pop of colour, and there's even a window on the door to let some extra light in. Once inside, there is a nicely sized living room with a sectional couch complete with storage, and it can even turn into a full double bed. Multifunctional furniture is so important in a space like this because each are in the tiny house needs to be used for at least a couple of different purposes. Over the living room, there is a beautiful small loft which would be perfect to use for storage space or as another sleeping or lounge area. One great idea would be to make the second loft into a closet space where the owners could store their clothing and shoes. The secondary loft has a ladder leading up to it while the main sleeping loft has a staircase. This makes it so much easier to get up and down especially when it's getting out of bed in the morning. There is also some storage in the bedroom loft for some clothing storage as well, and there is some storage space in the staircase too. Under the main sleeping loft is the kitchen area which is quite impressive. It features a lovely granite countertop and some beautiful glass tile all the way up the wall. There is also a smaller sized range and oven as well as an apartment sized fridge. The small sink is on the other side of the galley kitchen with more countertop space as well. So there's lots of food prep space. The bathroom in the tiny house design features a bathtub which is becoming more popular in tiny houses on wheels. There is also some excellent subway tile in the bathtub area so it can also be used as a shower. This tiny house features a flush toilet so it would need to be hooked up to sewage, but composting toilets are an off-grid option.